PRAGUE/WASHINGTON -- On July 4, 1950, Radio Free Europe (RFE) went on the air for the first time with a broadcast to communist Czechoslovakia from a studio in New York City's Empire State Building. The station signed on with the pledge of delivering news "in the American tradition of free speech." On this Fourth of July, exactly 60 years later, RFE/RL reaches nearly 20 million people in 28 languages and 21 countries (map) including Russia, Belarus, Iran, Iraq, Afghanistan, and Pakistan It remains a lifeline for people living in war zones and under authoritarian rule who seek accurate and reliable news and information. U.S. Secretary of State Hillary Clinton said last year during a visit to RFE/RL's Prague headquarters, "RFE/RL is smart power. It represents everything we are trying to achieve. By the end of 1954, RFE and Radio Liberty (RL) were broadcasting in 25 languages to Eastern Europe and across the Soviet Union. The stations provided a "megaphone" behind the Iron Curtain through which dissidents -- denied normal access to local media -- could reach millions of their countrymen without censorship. Years later, when asked if RFE played a significant role in Poland's struggle for freedom, Nobel Laureate Lech Walesa replied, "Would there be an earth without the sun?" In 1968, during the seven month period of political liberalization in Czechoslovakia known as the Prague Spring, RFE was an indispensable source of independent news. With Soviet power at its height and dissidents under heavy pressure throughout the 1970s and 1980s, RFE/RL's mission took on added importance. As former Czech President Vaclav Havel said, "All through the long years of communism, RFE provided the only avenue for the free exchange of information, for free journalism, and also the only, or rather, the main source for communication between the opposition and the people of the nation. I believe that our society owes Radio Free Europe immense gratitude for the role it played in my country." One of the indicators of RFE/RL's success has always been the extent to which authoritarian governments attempt to disrupt its broadcasts. In 1981, a bomb ripped through RFE/RL's Munich headquarters, wounding several employees and causing $2 million worth of damage. Secret police files opened after 1989 revealed that the attack was ordered by Romanian leader Nicolae Ceausescu and carried out by the terrorist Carlos the Jackal. Our society owes Radio Free Europe immense gratitude. When the Chernobyl nuclear disaster occurred in 1986, Soviet media sought to cover up the catastrophe. However, in what historian Arch Puddington has called "RFE/RL's finest moment," the organization devoted hour after hour to the story, providing instructions to listeners regarding the decontamination of food and clothing, and guidance on protecting children from radiation. In 1994, as the conflict in the Balkans escalated, RFE/RL began broadcasting to the countries of the former Yugoslavia. During the NATO air campaign in 1999, RFE/RL was the only station on the air during the nighttime hours in Serbia. The live reports from Belgrade, Brussels, and across the region were the only source of information for people who sought news of the bombing and information about safety. Over the past fifteen years, RFE/RL has expanded its reach to include Afghanistan, Iran, Iraq, and the North Caucusus. In Afghanistan, RFE/RL's Radio Azadi is the most popular media outlet in the country and has received more than 15,000 pieces of "fan mail" from listeners, some of which went on display at the Library of Congress in March 2010. In Iran, RFE/RL's Radio Farda is an influential source of independent information -- particularly online -- and played an important role during the crackdown after the disputed 2009 presidential election. 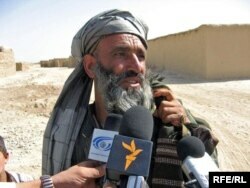 An RFE/RL Afghan correspondent interviews displaced persons in Helmand Province. 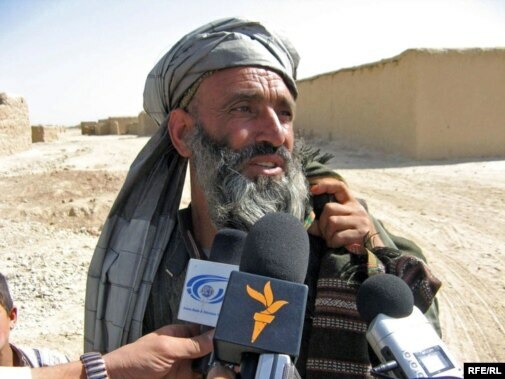 In January 2010, RFE/RL launched a new Pashto-language station to Pakistan's Pashtun tribal region in order to provide an alternative to the proliferation of Islamic extremist stations in the region. And two months earlier, RFE/RL began new daily Russian-language broadcasts to the Georgian breakaway regions of South Ossetian and Abkhazia. "Our mission is as important as ever," says RFE/RL President Jeffrey Gedmin. "Although the technology has changed -- we augment radio now with content delivered online, by video, and on television -- the mission of surrogate broadcasting is still the same. RFE/RL remains one of the most effective and cost-efficient programs the United States can support in order to promote democracy and advance U.S. national security interests."